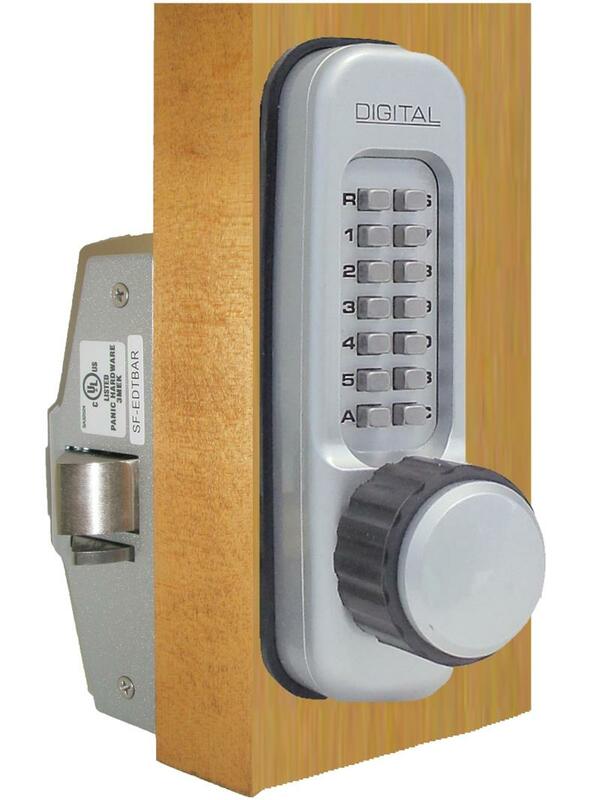 Lockey 160-P Keyless Mechanical Digital Panic Bar Exit Door Lock is a bump proof, pick proof, mechanical keyless door lock that does not require wires, batteries or electricity. 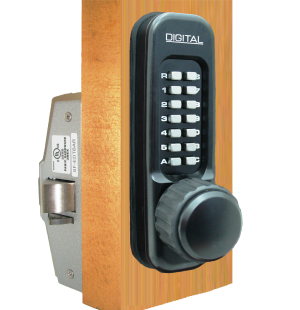 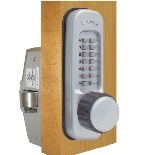 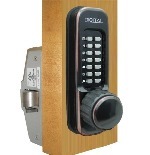 This lock replaces the keyed cylinder in a door with a panic bar, has a Knob and outside passage function. 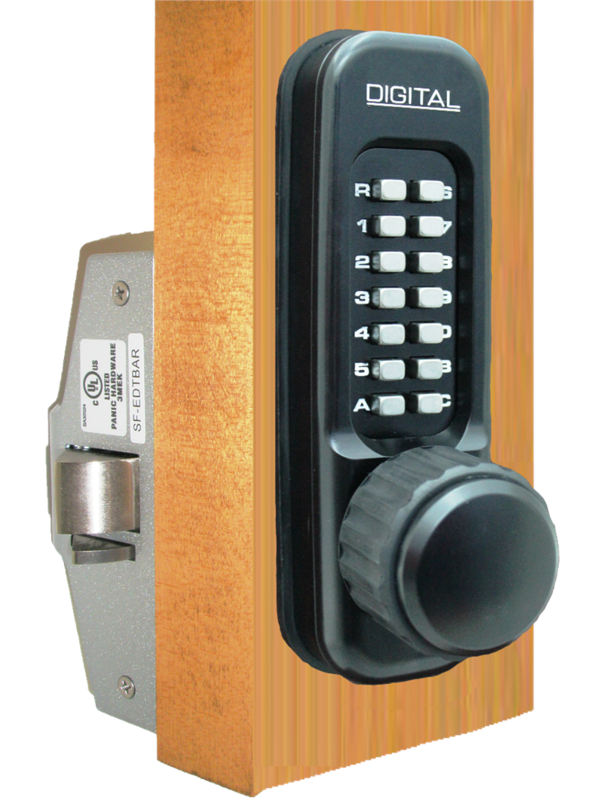 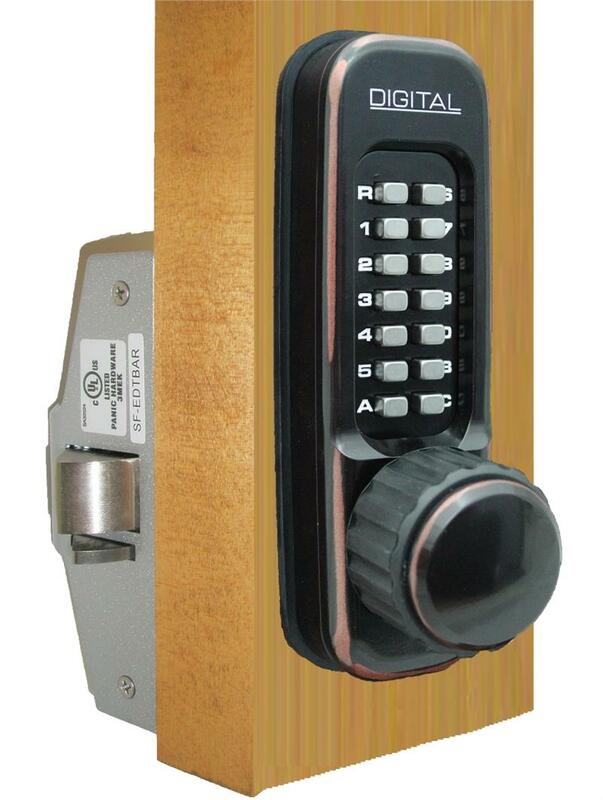 This is the outside body only of the heavy duty, 1600 lock, with hardware to work with a panic bar. Finishes Available-Jet Black, Oil Rubbed Bronze, and Satin Chrome / Marine Grade.